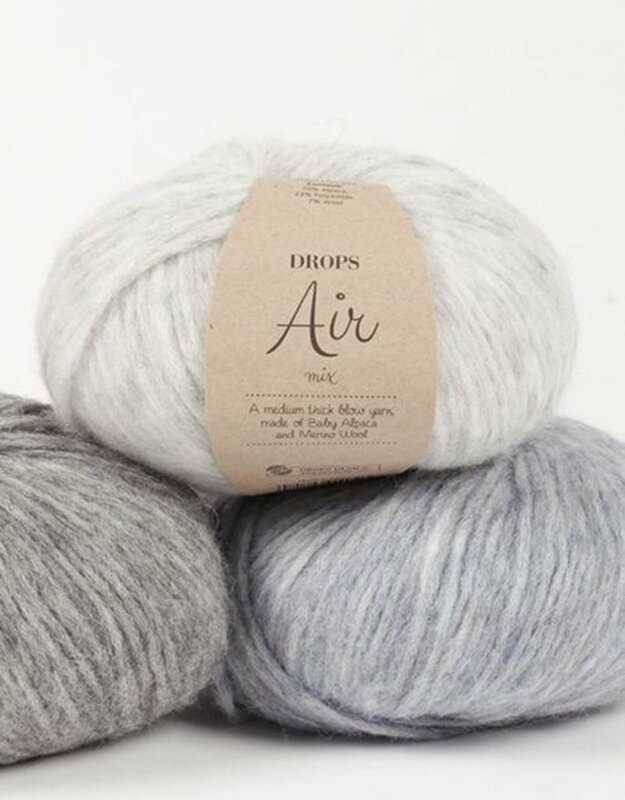 Clothes made from Drops Air are about 30-35% lighter than clothes made from normal, spun yarns of the same thickness. 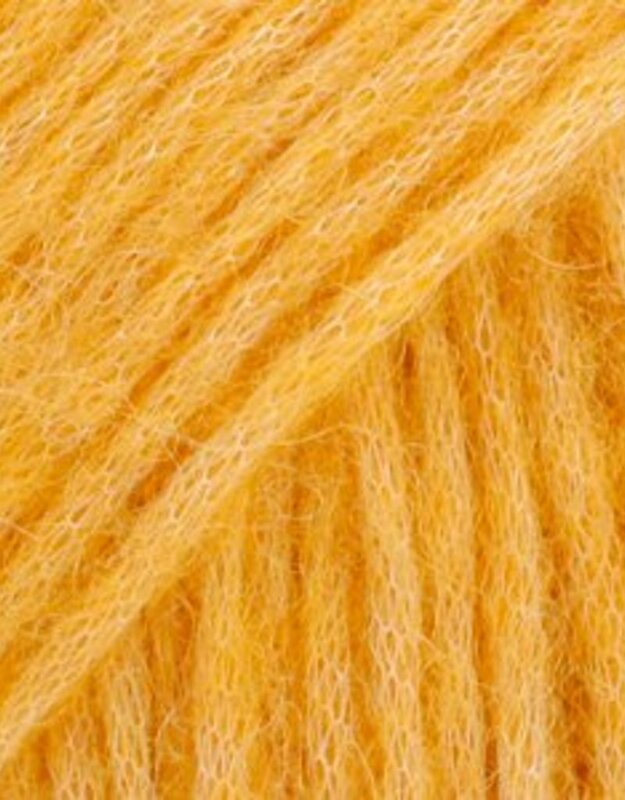 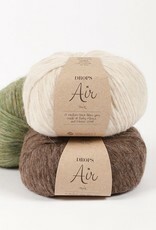 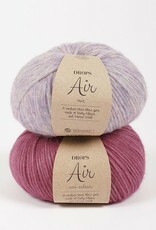 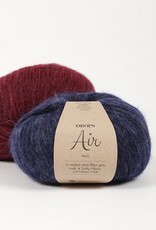 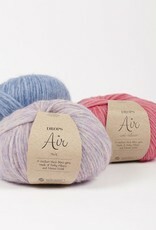 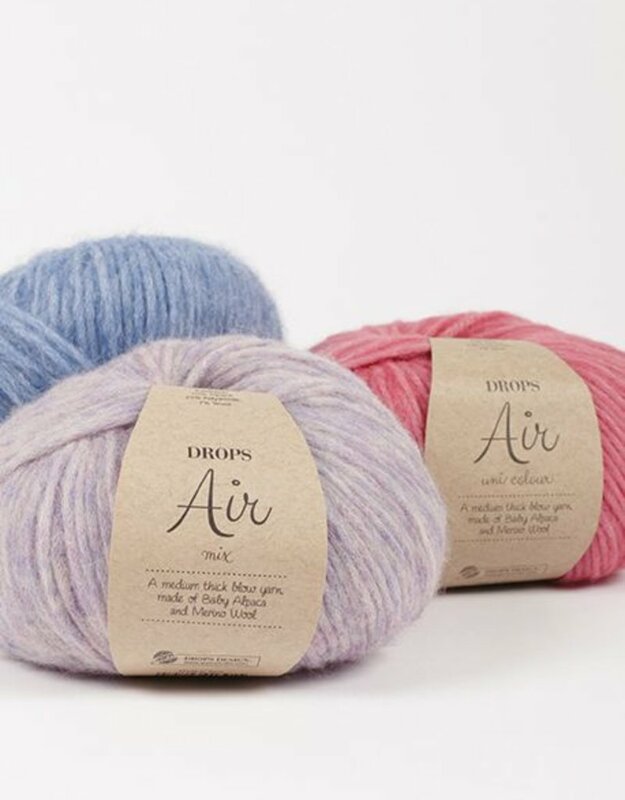 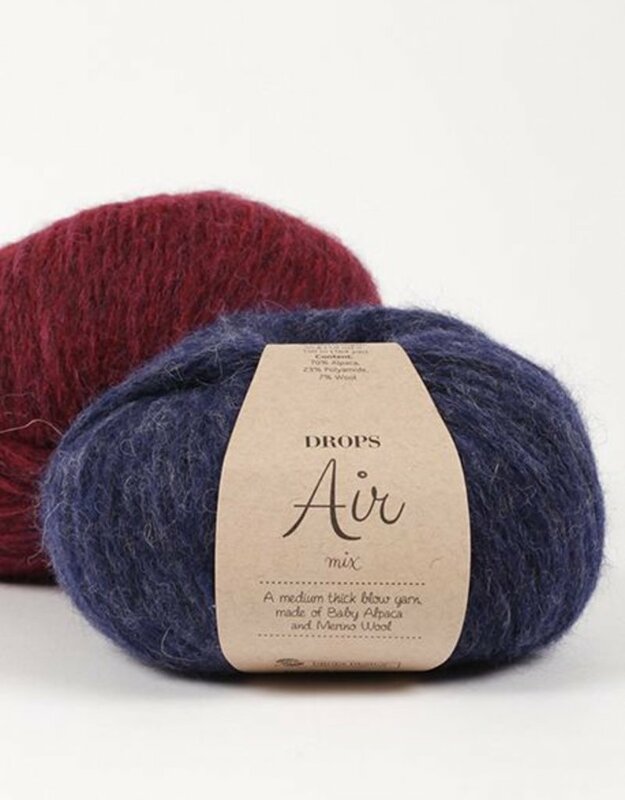 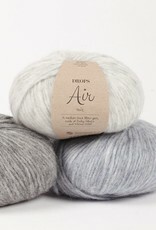 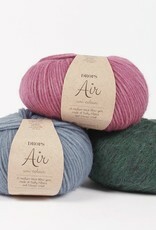 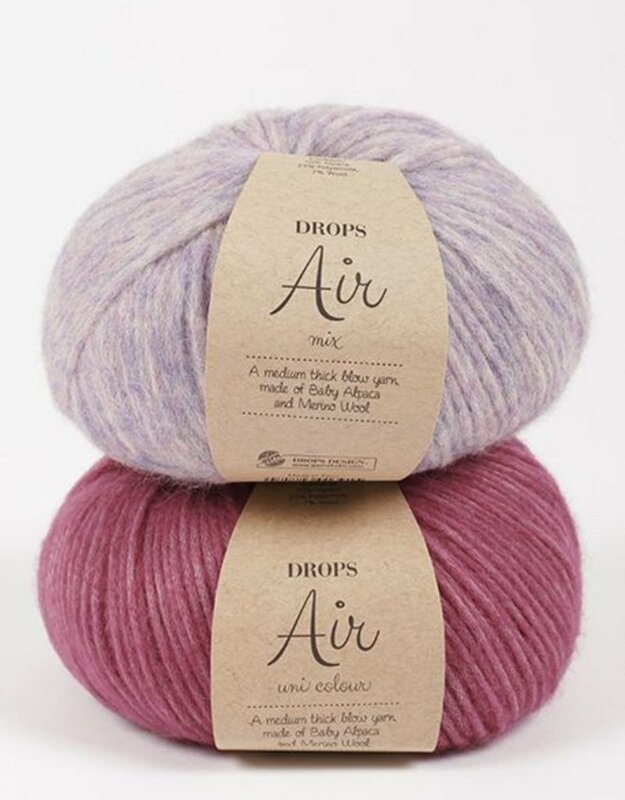 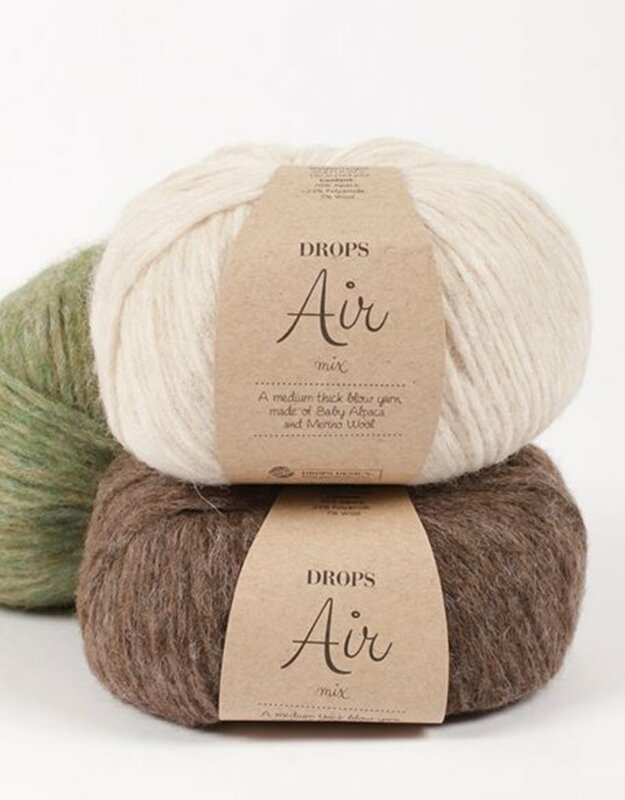 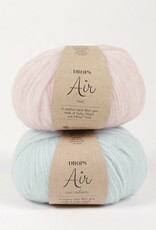 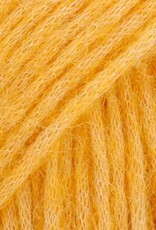 DROPS Air is a very light and airy yarn that feels wonderfully soft on your skin. 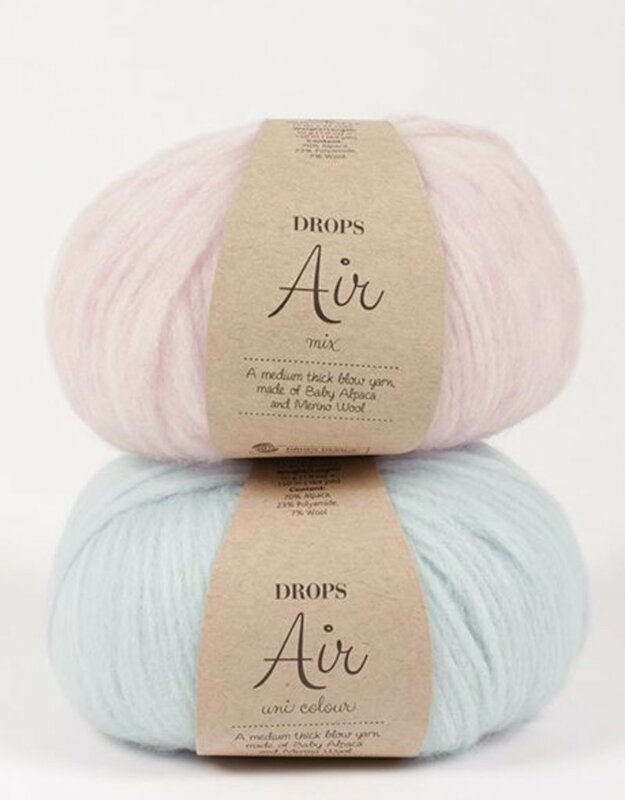 This yarn is very suitable for accessories, shawls, sweaters and cardigans, also with structure stitches and cable patterns. 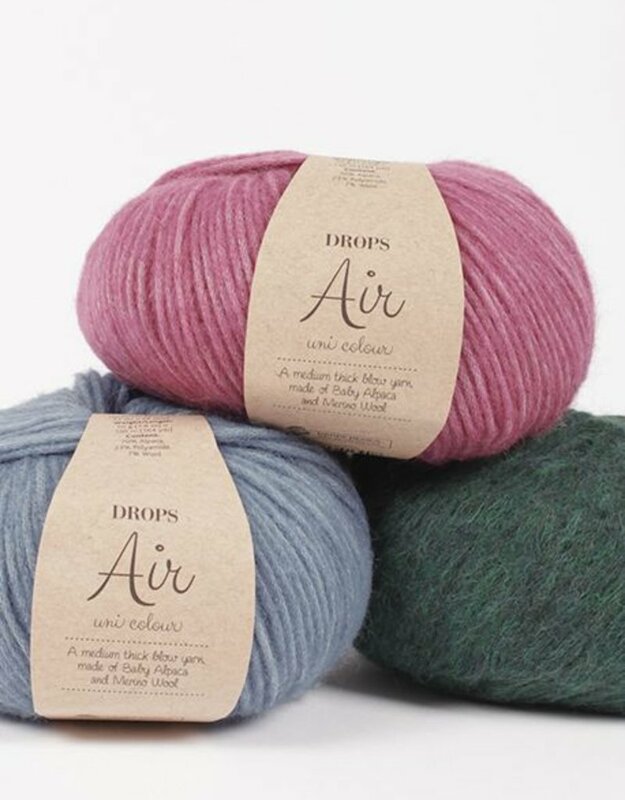 Clothing made from DROPS Air does not tickle, so everyone can wear it!